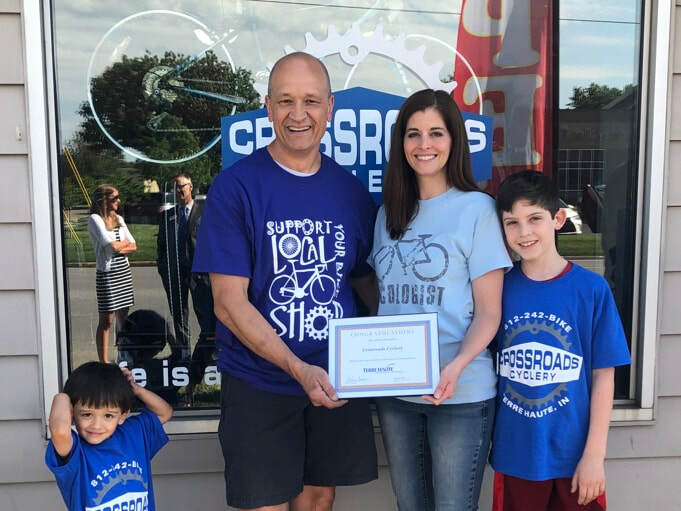 Crossroads Cyclery is Terre Haute’s oldest bike shop. It has recently been sold to new owners Jim and Maria who have a passion for cycling and serving the community. Our shop specializes in helping our customers find the right bicycle for their needs. We offer a variety of bicycles from road, mountain, comfort cruisers, and children’s bikes. We are a Giant Retailer but also provide service to any make and model. Our mechanic provides comprehensive tuneups and repairs based on your individual needs. Jim has an extensive sales and customer service background. He has always loved biking and had dreamed of owning his own shop. We purchased Fat Bikes in 2018 to make that dream comes true. He loves talking about bikes almost as much as he loves riding them. He often competes in ultra distance events. He has recently rode in local events such as the RAIN ride, The Hilly Hundred and The Goat Ride. He also loves to hit the trails on his mountain bike when he’s not in the shop restoring vintage bikes. Our family started an amazing journey yesterday. We bought a local bike shop! This has been a dream of Jim’s long before we became a family and has been something that we’ve been praying and dreaming about together since before we ever said “I do”. We love visiting local shops when we travel and always talk about where we would set up shop when the time finally came. This has been part of our long term goal and it’s hard to believe that it has actually happened! We are so excited for this adventure and thank God for His perfect timing. 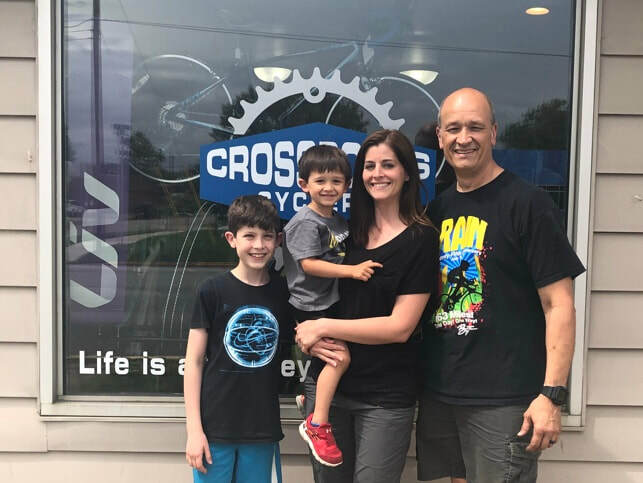 We have changed the name and you can follow Crossroads Cyclery’s Facebook page to keep up with all of the exciting things happen at our shop.